The year 2020 may seem a long way away, but we’re already in full swing preparing for the next decennial census. 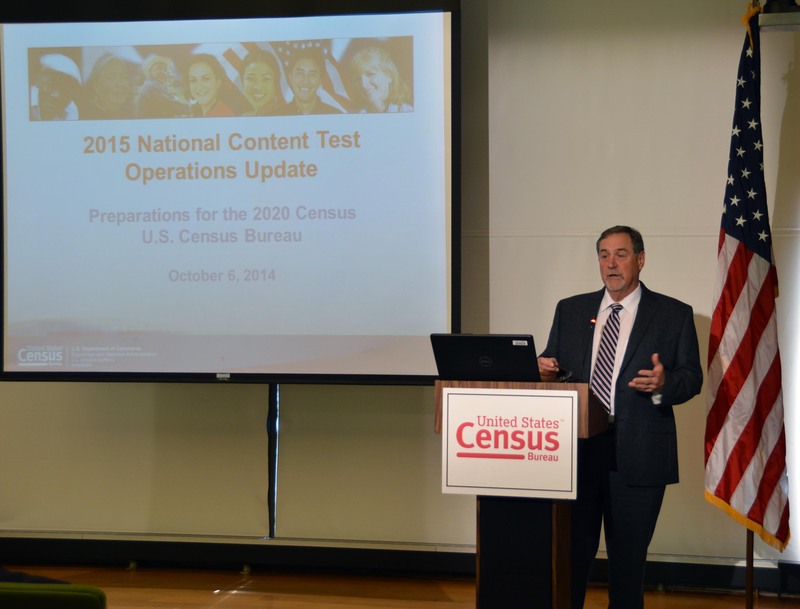 We held an operations update to announce some of the steps we’re taking to ensure that the 2020 Census provides the highest-quality statistics about our nation’s increasingly changing population, such as how we measure race and ethnicity. One challenge we face is how Americans view race and ethnicity differently than in decades past. In our diverse society, a growing number of people find the current race and ethnic categories confusing, or they wish to see their own specific group reflected on the census. 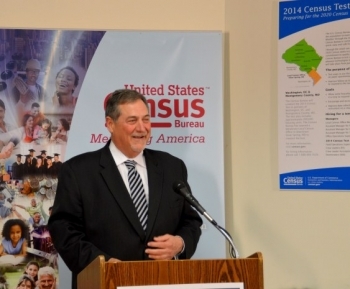 The Census Bureau remains committed to researching approaches that more accurately measure and reflect how people self-identify their race and ethnic origin. During the 2010 Census, most households received a census form that asked about race and Hispanic origin through two separate questions. However, we also conducted a major research project – called the “2010 Census Race and Hispanic Origin Alternative Questionnaire Experiment” (AQE) – to better understand how and why people identify themselves in different ways and in different contexts. Elicit detailed responses for all racial and ethnic communities (e.g., Chinese, Mexican, Jamaican, Lebanese, etc.). Today, we marked an important milestone on the road to the 2020 Census with the opening of the Local Census Office for the 2014 Census Test. We will conduct the test in parts of Washington D.C. and Montgomery County, Md., and it was gratifying to see the community support for this important research endeavor. Why is it so important to conduct this first of several field tests now? By investing in this research and testing, we can take steps to reduce the cost of the census and make it easier for people to respond. Those who are selected to participate in the 2014 Census Test are helping us produce a better census in 2020. For the test, July 1, 2014, is Census Day, or the reference day for measuring the population of the test area. I strongly encourage you to participate, if selected, and be a part of building an innovative and cost-effective 2020 Census. Approximately 200,000 households will be included in the test. Respondents should fill out the questionnaire based on the people and circumstances of their household as of July 1, 2014. Participating, if selected, is not the only way you can help us with the test. We are also hiring about 1,000 temporary workers locally to conduct it. If you live in the area and are interested in applying for a job, you can find more information here. We will have a series of tests leading up to the 2020 Census and for the 2014 Census Test, some of our research will test Internet response. Although the 2010 Census did not offer it as an option, we have been using it for the American Community Survey and other surveys for several years now. Our enumerators will also use a smartphone app for quicker and more accurate data collection from non-responding households.